I have been in your shoes. I know what its like to feel helpless having no answers thinking there is no other way but the conventional approach, yet you have hope in your heart for another solution to your dilemma that is more in harmony with your way of thinking. What I have learned is when a disease exist, there is always an antidote for it. The world is made of opposites. The opposite polarities have to exist to keep this world in balance. Evil has to exist for Truth and Harmony to be there. An equal amount of Love & Hate will always be present on the planet. That's a spiritual truth and therefore is a Universal truth. Once I understood this, I trusted the answers would be shown to me if I persisted enough to looking for them. Natural remedies are always available to help us heal, we just have to look for them and keep an open mind about what's presented to us. In my mid 30s I avoided conventional medicine for a cancer that had spread through my blood but started out with an auto-immune disease, allegedly mononucleosis (aka: the kissing disease). My medical doctor was honest enough to tell me there was nothing she could do for me and knew of no cures. Although she didn't fully know what I had. It was a blessing that she couldn't do anything for me, it forced me to go through the "unconventional route" and instead search for holistic path to health and find real answers and real help. I was so weak everyday, I could barely get out of my bed in the morning. I had to drag myself on the floor to the tub and let the hot water run on me for a while with essential oils to revitalize my body senses and start moving again. 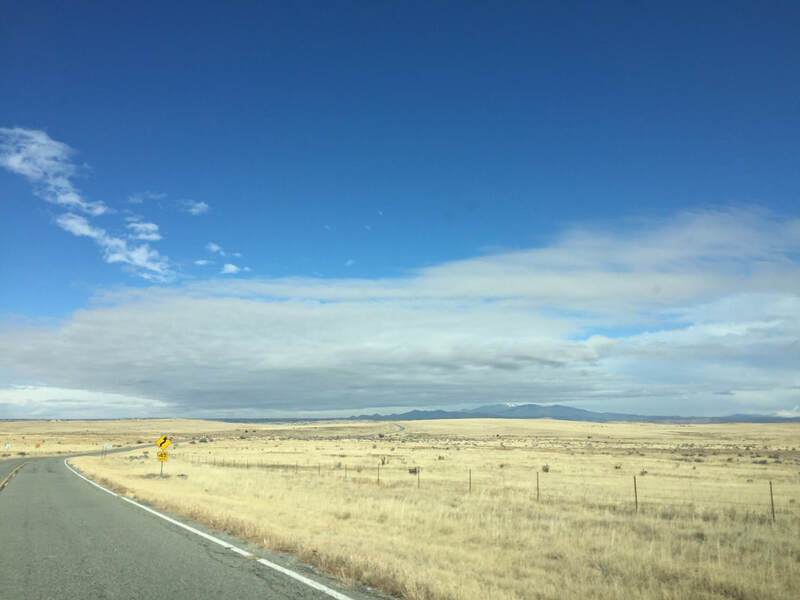 It was only after my morning yoga practice, with Asana, Pranayam, and spiritual exercises that I could get to work and function semi-normal. I had high fevers everyday for pretty much 2 years, on and off but mostly on. ​This is during that time that I learned so much about myself and health. I learned about different methods of healing, I learned how to use healthy foods as my medicine, I included herbal remedies, and supplemented my diet to heal myself with a slew of vitamins. I also had the help of different health practitioners along the way. Without their support and vision about natural medicine I would have never made it. It was a major change in my life and I survived this because I believed deep down inside there was a way to heal naturally and my faith in the Divine Power. Once feeling stronger and semi normal, I started to regain a normal body weight but I soon discovered other health issues that were a side effect of having a low immune function for so long. These issues needed to be addressed and one by one I tackled them, in order for me to be completely well. At that point I was strong enough to get rid of Heavy Metal toxicity particularly Mercury, which I know had leaked out of my teeth for decades. I even swallowed a piece at the dentist while removing some of my silvers (mercury fillings), which was performed by an unqualified dentist ( I come to now understand). To remove mercury fillings you need to go to a dentist that specializes in doing so. This professional will put a damn in your mouth so you don't accidentally swallow a piece during the removal. They'll have a specialty vacuum to filter the air in the room so no particulate contaminates you, the dentist, his assistant, and the rest of the office. Because my dentist was ignorant in these very important protective methods, I suspect that this was the reason for the blood cancer and auto-immune disease I contracted. I started to cleanse these heavy metals from my body with natural Chelating minerals. It transformed me further lifting the fog in my brain, getting rid of many fluctuating moods, anger, anxiety, emotional instability that would arise particularly during my menstrual cycle. It was a true breakthrough for me after I had removed these heavy metals. I was the person I knew from when I was younger, and not this tortured mind instigated by Mercury poisoning and other Heavy Metals accumulation in my body and brain (Cadmium, Arsenic, Lead, Dioxin). 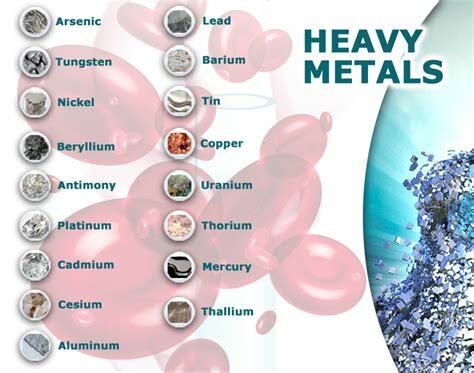 Heavy Metals are neurotoxins which will affect one's mind for the worse. It happens gradually over the years and is undetectable to us as it happens, yet the change is very real. It is only after doing a cleanse that one sees how different, how so much better, how lighter, you feel and back being yourself again! After ridding myself of these silent killers, which can take years for some although the method I used was easy, natural, and fast. I saw a major change in 5 weeks but kept with the treatment for 3 years until I had cleared my mouth of all the mercury (silver) fillings. Don't be mistaken, it took me two years before I finally found the right herbal regiment to clear my leaky gut syndrome and heal from candida overgrowth. Heavy Metals Toxicity leaves you vulnerable to Candida Overgrowth. These bacteria/ fungus just love an unhealthy gut to proliferate in, which heavy metals will promote (acidity in the body along with other things). The Gut Flora is one of the most important aspect of you being truly healthy. If you take care of it continuously, it will take care of you. But it isn't an easy thing to do. Most Doctors don't understand that Candida Overgrowth mimics dozens of other diseases that may be manifesting in your body. In my opinion and in my experience it is probably the first thing to take care of before trying to heal something else. Usually other health issues will take care of themselves once your Gut is in balance and healthy. But to get there it could be 3 months. You feel better right away, but after three months you feel safer around eating small amounts of grains or starchy foods and after two years you are ready to be free to eat all foods in a wholesome way. I believe being a vegetarian for 15 years created a lot of deficiencies in my health and I paid dearly for it along the years. I had no idea at the time, but now I can look back and say, yes being a vegetarian is very nice to be for short period of time but as humanoids we are meant to eat a large variety of food which includes meats. We need animal protein in our diet to keep our brain healthy, our bones strong, our joints lubricated with collagen, and clear of pains. In 2012 I had this epiphany! It became extremely clear that "I had been killing myself slowly on this vegetarian diet for the last 15 years". That year for Thanks Giving I ate my first meat (turkey). And it felt great! I had to get reacquainted to meat by slowly integrating a little bit at a time in my diet. I had to let my digestive system to slowly learn to start breaking down this food and create new bacteria, and more acidity and bile to be able to digest it properly. I saw the difference within days in my entire constitution. My strength, my overall health, my joints, my arthritic neck became better, less painful. Overtime, I was able to do a headstands during my yoga practice. This didn't happened in at least a decade. I had spinal pains throughout my life ever since I fell from a swing when I was 10. It's not until I moved to New Mexico in my 40s that a Chiropractor diagnosed me with a chronic atlas misalignment. She said it probably was out of alignment for 25 - 30 years. I never knew it! But it suddenly all made sense, all my health issues along the years could be traced back to that fall at age 10. It gave me great discomfort and pain throughout my life because that fall was never addressed at the time. Yes, Yoga Instructors have pains in their bodies as well. I could have easily given up yoga but I knew I needed it to help me soothe my mind, my emotions and I loved spiritual introspection, actually I craved it! And I was hungry to learn about spirituality altogether. So, instead of giving up something that was good for me, I use my knowledge of yoga Asana to help heal my body as best as I could. A cervical spine, C-1, being misaligned for so long, won't just come back to it's natural alignment or stay there just because the chiropractor puts it back into place. The bone structure and the muscle holding it in place has to be retrained to stay in the way you want it to be. over the years, the rest of the spine took its own form to adjust to the new "bad" alignment. Which means every muscle along my spine changed to try to hold this new position. I had to REHAB my body by stretching and strengthening with yoga postures daily / weekly until it could hold it's form. It worked, and today I can say none of these issues exists. Nutrition was the key ingredient to keep my C1 in place and once I made the necessary changes to my diet for that purpose, I started to only see my Chiropractor once or twice a month, and later once every 6 weeks as prevention care. After 3 years, my cervical spine has completely healed. I have a remaining of arthritis due to the injury sustained for so many decades. My neck's range of motion is limited but no more pain! That to me is fantastic! As I approached my late 40s, a very traumatic event happened in my life. My life as I knew it disappeared overnight. I was suddenly trying to survive a personal tsunami. 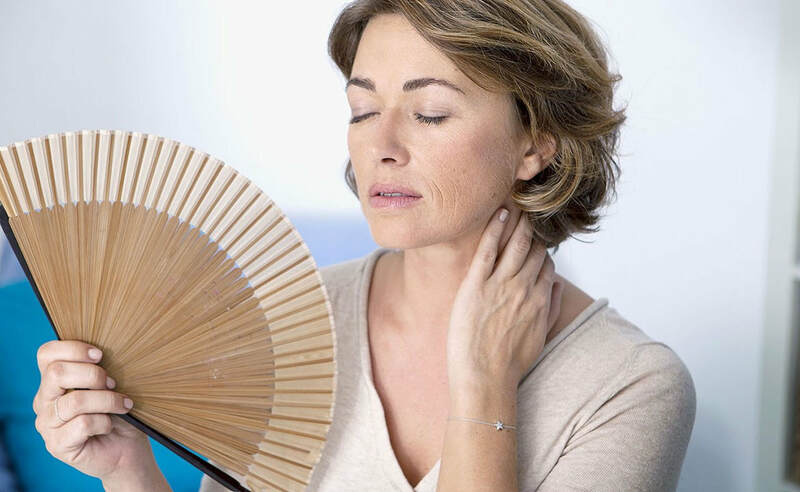 This event was so intense I was thrown into peri-menopause overnight. I started to bloat up like a fish, I had anxiety issues, I gained a lot of weight (about two sizes), I started to feel overly heated around my moon cycle, my mental state was not so good, etc. I didn't know what was happening to my health anymore. I was at a loss with my life altogether. In my grief and heavy feeling of Tamas, I started to develop a sciatica nerve injury. I have known many people over the years with this issue but this was the first time I experienced it! It is so painful and so debilitating I had no idea. It made me so tired 100% of the time. I couldn't sit down. I could only lie down or or walk around with a limp. It took 9 months of excruciating pain, rehabbing my back with yoga, adjust my nutrition, for it to finally go away. In March 2016 I had a car accident and was rear ended at red light. The young man behind me didn't stop. According to a witness he was texting while driving. He probably was doing 35 miles/ hour when he hit me full on. Luckily I didn't see it coming when I was hit. My body was relaxed because of it. One week later I was diagnosed with a mild Traumatic Brain Injury without loss of consciousness and close head injury. ( Look for my book: The Self Help Guide on Traumatic Brain Injury and a Concussion). It may not sound very bad but as a matter of fact, these so called "mild head trauma" are more deadly than the open head trauma. Well, due to the fact that it appears as being benign to the naked eye. Experts in this field are now seeing that these mild TBI are probably the most traumatic. No one suspect the ramification of a TBI. The neurons in different part of the brain are still dying, and many effects will occur along the way and while trying to recover. After 3 years + I am still dealing with great debilitation from the accident. I do not live a normal life. I have to assess how much I should do each day before doing it and most of the time I fail assessing correctly, which throws me back into concussion mode for several days and sometimes several weeks. My daily task is to be able to live a semi normal life so I can have "a life". But truly I don't. It is a complete roller-coaster ride with so many constrictions or restrictions. My diet is particular to assist the healing of my brain. I take herbal remedies to assist my anxiety which were present after the accident due to the brain not being wired correctly anymore and not able to control emotions like a healthy stable individual. My entire body was malfunctioning because my brain stopped connecting to it and telling it what to do. My digestion was practically nonexistence. I gained at least two or three sizes. I slept for the most part of the last 3 years as I was incapable of doing much and was extremely tired all the time. The hardest part was to deal with this on my own. Yes, alone. You cannot be alone when you have a brain trauma, you need complete assistance. The fact that I managed was a complete miracle. The only thing that kept me alive and going was my spiritual practice, my Guru, and my daily connection to His essence, my ability to rise above the body consciousness, my faith in God and Spirit. Without any of it I would have taken my life, for sure. Not only the brain is so broken it tells you "you should kill yourself" but also the world doesn't understand your dilemma. Most doctors and people look at you and think you are putting on an act because you look normal, you are an adult, and you should be able to attend to your life like everyone else. Wrong!! But in the case of a head trauma you have a brain of a five year old child. This isn't an exaggeration. A five year old needs his mommy and daddy to survive. It is no different here for this seemingly looking adult. I needed a mommy or a daddy, someone to take care of me and make decisions for me, prepare my meals, do my daily chores and provide for me as I couldn't do it anymore! What an ordeal this is to experience. Nothing can compare to not have a mind to help you live your life. I have total compassion to anyone with a head trauma, strokes, brain tumor, Alzheimer's, dementia, anything else neurological is very similar to a concussion and Traumatic Brain Injury. Once you've been on the other side of that brain, you will never be the same person anymore. What mattered to you before has no hold on you now. People who have been in my shoes even in a light manner, become usually much more laid back, a lot kinder, more innocent, and have a need for truth in their lives verses the noise and disharmony that exist in the world. You become a better person no doubt. Luckily, as a holistic Intuitive health coach I have an ability to take care of myself naturally with foods, vitamins, herbs and healing devices. So this is how I was able to heal along the many steps the brain takes to come back to life. No medication can help you, only different natural therapies can start removing the inflammation in the brain. Although, I still have years ahead of me of struggles and perhaps the rest of my life (that's unknown), I have gotten to a state where I can function in the world. I don't have a normal life but I can live it again. I have to be careful in how much I do each day, I have to refrain from lifting heavy objects, and getting myself to busy with a chore. So yes my social life is greatly diminished and my work life is too but I am grateful I can start living a little more each day after 31 months. In my book i layout the entire process of healing and also what to expect and what someone going through a TBI will experience whether it is a mild version of my experience or bigger makes no difference, it will happen. I give the best nutrition to follow to repair the brain faster and better. It is very extensive and in depth. I even talk about the legal aspect of it. The insurance and lawyers. It is all very important and needed to understand what to expect and how to go about it. 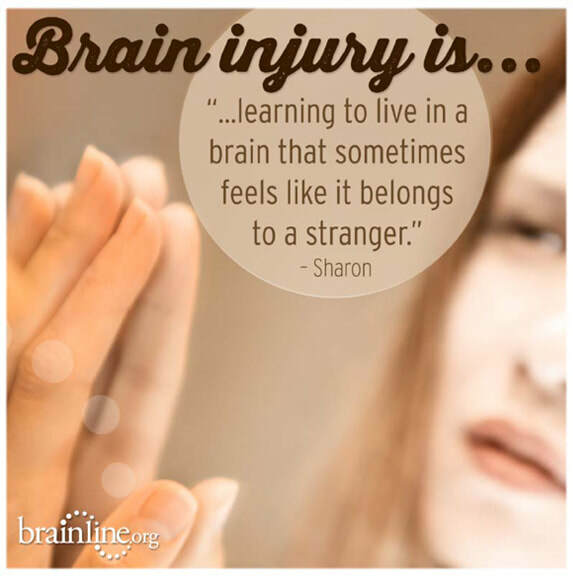 Understanding your experience with a TBI (traumatic brain injury) is key to survive it and overcome its destructive effect. So look for my book. I will add a link to it when it is published end of 2019.